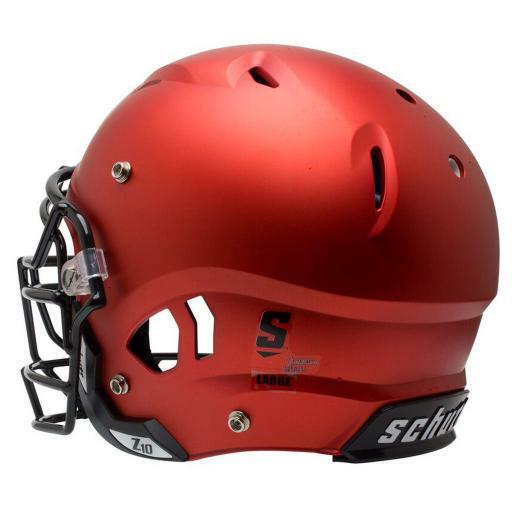 The Schutt Vengeance Z10 Adult Football Helmet has arrived! The Z10 uses a smaller profile and a new Helmet Stabilization System to appeal to even more players. 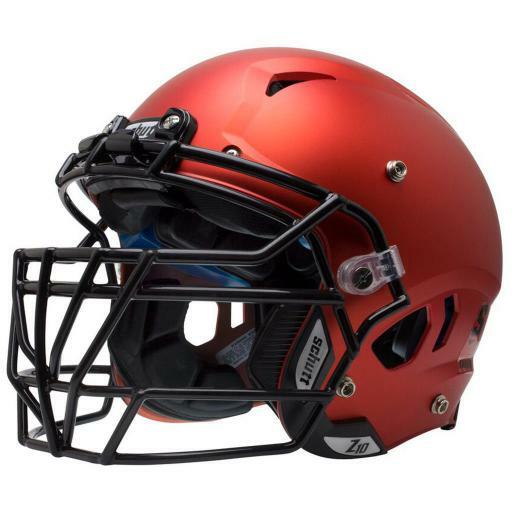 The helmet uses the Z10 titanium facemasks to keep the weight down and a hard cup SC-4 chinstrap to keep the protection up. The first thing you'll notice when putting on the Z10 is the streamlined shell that sits closer to your head like a classic helmet. But this helmet is far from classic, using an external cheek stabilizer that boosts the strength of the ear flaps and an internal piece that gives you a locked in feeling. Extra vent holes keep the helmet breathable, while the single layer TPU keeps it light on your head. The titanium facemasks are made to work in unison with the helmet, extending further back on the helmet than previous Vengeance facemasks with a material that's 60% lighter than traditional facemasks. Feel the Z10 now in stores available as Black Edition.